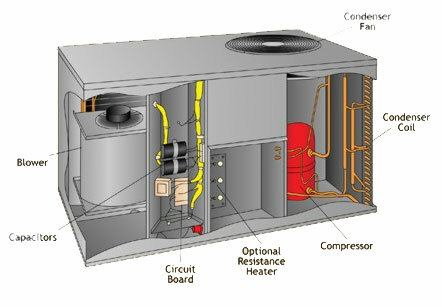 There are many different sizes of AC units regardless of whether you purchase the window AC units or the central units. This is why you need to find the right size of unit for your home for the AC to work efficiently. This is done by measuring the area that is going to be cooled to help determine the size of air conditioner that is right for your home. This is generally calculated by multiplying the length by the width of the room or the area that will be cooled. You will then multiply the total by 25 BTU. This will enable sufficient cooling regardless of the conditions of the weather in your area. For practical purposes, let us assume that the room to be cooled is 10 feet by 15 feet. You will have to multiply 10 by 10 and this will give you 150 square feet. You then multiply the 150 square feet by 25 BTU per square feet and you will arrive at the minimum BTU air conditioner that you ought to purchase. This would mean then, that 150 x 25 would give you 3750 BTU cooling capacity that is required. Sometimes people wonder if a smaller or a larger air conditioner will work better. Should you purchase a smaller air conditioner, the unit will work but it will try to keep up and this will result in a huge cost in your electricity bill. Another thing is that the air conditioner will be unable to effectively cool the room. A larger air conditioner will also not be as effective as required. Most people are of the feeling that bigger is better but this is not the case. While the air conditioner will cool faster, it will hinder the initial reason why the air conditioner should be running. The air conditioner is not only supposed to cool the air but should also remove humidity or rather moisture from the room. The air might be cooler but the air conditioner will run long enough and this will mean that moisture will not be removed from the atmosphere properly. While you will feel the cooling effect, you will still have the feeling of the hot and sticky moisture and this will be quite uncomfortable. Measuring the area that needs to be cooled off will help you because once you calculate the BTU; you will get the air conditioning unit right. You should visit your local appliances unit when you need to get the right heating and cooling apparatus.